Man, there are more Star Wars sales going on today than a Jawa could shake a stick at. 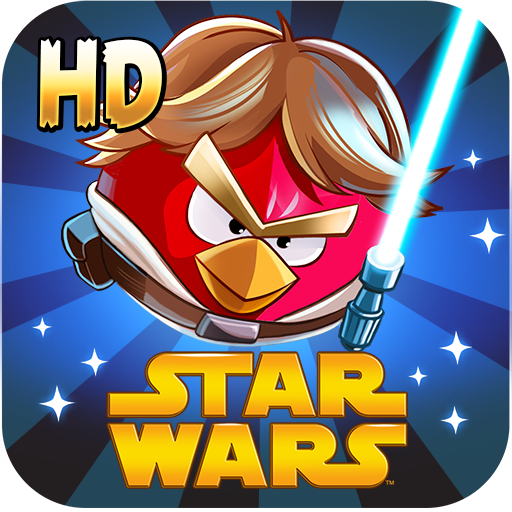 The latest deal features heavy discounts on both of Rovio's Angry Birds Star Wars games. If you haven't heard of Angry Birds or Star Wars before then let me introduce you to... Never mind, there isn't a single person who reads this blog (or possibly anyone in America) who isn't familiar with both of these franchises. Angry Birds Star Wars HD features characters such as Han Solo, Darth Vader, and Luke Skywalker from the original trilogy and currently costs only 45 cents. The sequel to this smash hit (get it, smash hit, like a bird smashing into - forget it), Angry Birds Star Wars II, is an even better deal with the price dropped all the way down to 15 cents. The second game features some, well, other characters from the Star Wars galaxy, including Jar Jar Binks. In the game he uses his tongue as a grappling hook while making Jar Jar noises... I guess that explains the lower price. While the pennies you pay for the apps will get you in the door, be advised that there are some in-app purchases to unlock additional content. 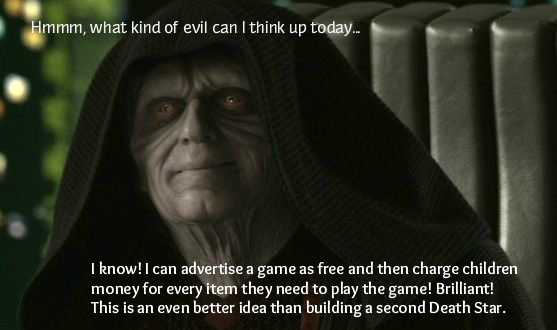 If you want to be angry at someone, blame Darth Sidious, he looks evil enough that I could totally see him being the inventor of IAP's. Also, the sale may only be happening in the US. Once again, you know who to blame.